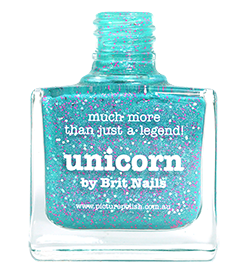 Win a bottle of Limited Edition Nails Inc. Udderly Shocking Pink with #guiltfreeze! 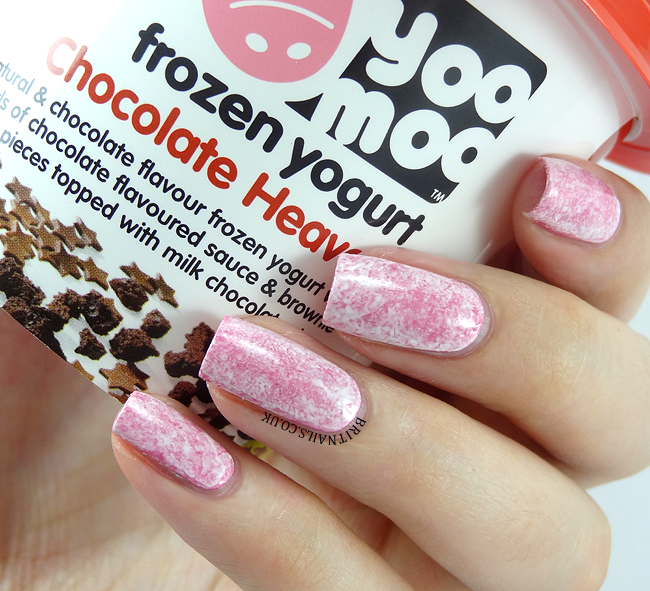 Do your best yoomoo inspired nail art and upload a pic to Instagram, holding a pot of yoomoo! (If you're unable to get your hands on a pot, don't worry, you can still feel free to enter) Hashtag the picture with #guiltfreeze and #britnailsyoomoo (by doing this you will also be entered into the prize draw to win the Ibiza trip!) you can get a money off voucher for a pot of yoomoo here. If you need a bit of inspiration, check out these nail art tutorial videos or have a nosey around the yoomoo website! Here's the polish you could win. Udderly Shocking Pink is a lovely rich pink creme, super glossy and opaque in 2 coats! Here's my yoomoo inspired design - a swirling mix of pink and white! You may have guessed I used the saran wrap/cling film technique for this. *If you're under 18 please get a parent's permission before entering the competition. Prize will be sent directly from the PR company to you.